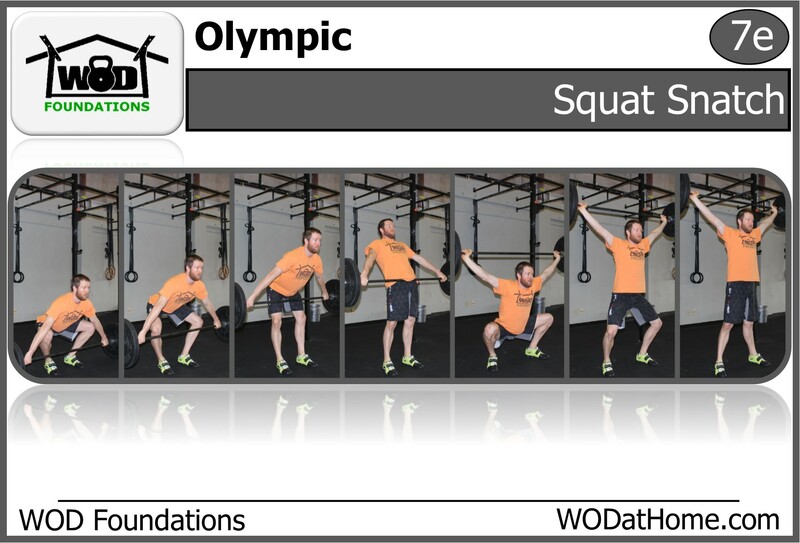 WOD March 27 | WOD at Home | Full WOD programming for the home or garage athlete. Equipment Substitution: Use a broom stick or a band. Do not attempt with a barbell. 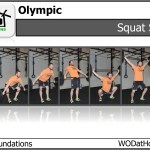 Fitness Level Substitution: Air Squats with hands in the air. Take the barbell off the rack like you are going to do a back squat. Step back from the rack. 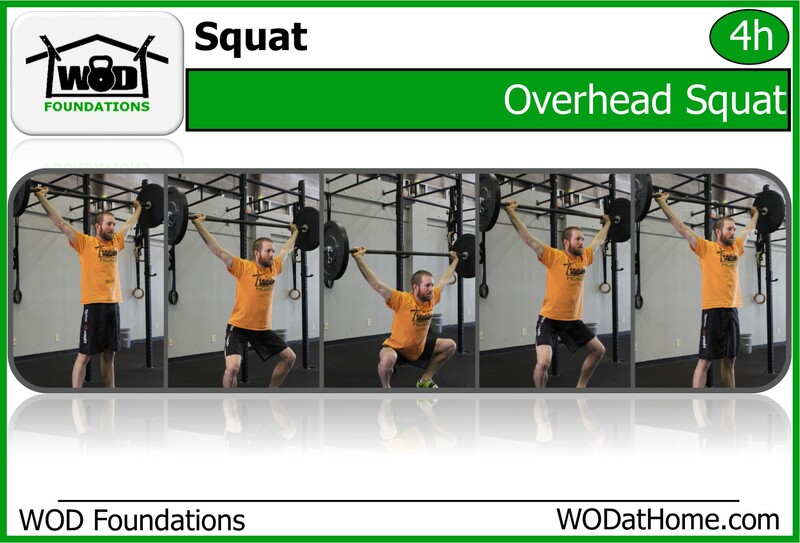 You will need to position your hands for the overhead squat. Then you will need to Push Jerk the weight into the overhead position. *If you do not have a squat rack, you will need to Power Clean the weight to your shoulders and then Push Press it overhead and down on your back before push jerking it overhead. 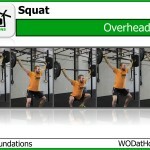 Perform 5 sets of 2 overhead squats working your way to the heaviest set of 2 you can safely perform. Rest 3-minutes between each set of 2. Coach’s Tip: If you cannot get into a proper overhead position because of mobility issues, stick with the PVC pipe. There is no good reason to load a bad position. Every minute and a half for 12 minutes, perform 3 high-hang squat snatches. With the barbell in your front rack, lunge towards each corner of a box. Step forward with each leg and then backwards with each leg until your back knee taps the ground. 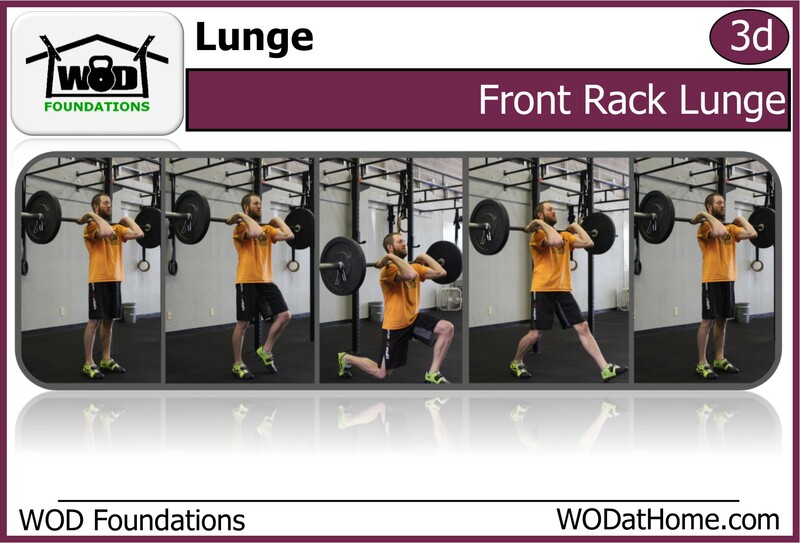 Perform 4 lunges in each set. two forward and two backwards. Rest 3-minutes between each set.